Explanation: These wisps of gas are all that remain visible of a Milky Way star. 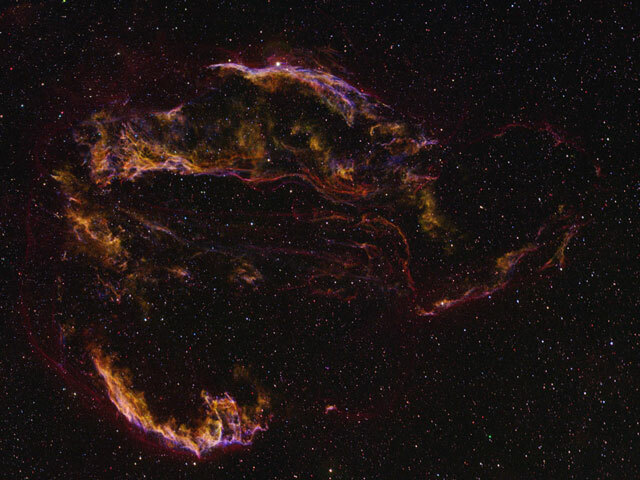 Many thousands of years ago that star exploded in a supernova leaving the Veil Nebula, pictured above. At the time, the expanding cloud was likely as bright as a crescent Moon toward the constellation of Cygnus, visible for weeks to people living at the dawn of recorded history. 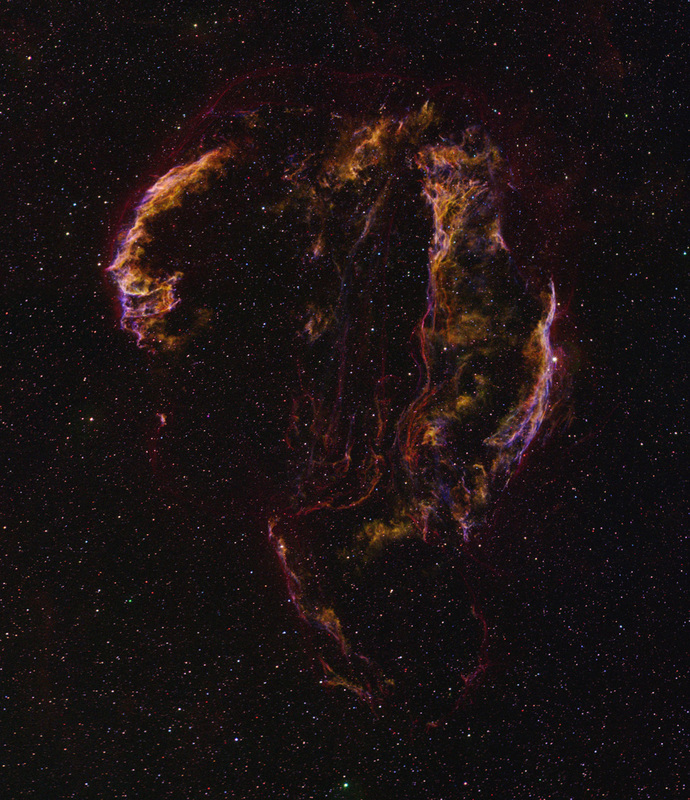 The supernova remnant lies about 1400 light-years away and covers over five times the size of the full Moon. The above image of the Veil was made clearer by digitally dimming stars in the frame. The bright wisp at the top is known as the Witch's Broom Nebula and can be seen with a small telescope. The Veil Nebula is also known as the Cygnus Loop.